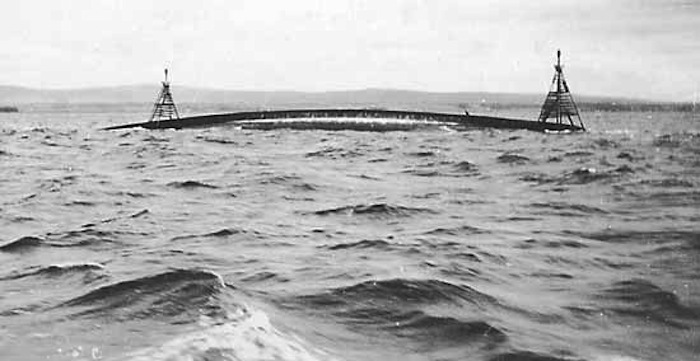 The upturned hull of HMS Natal before it was broken up and salvaged; remainder was then rendered so as not to be a hazard to shipping. A marker buoy (see below) now marks the location. 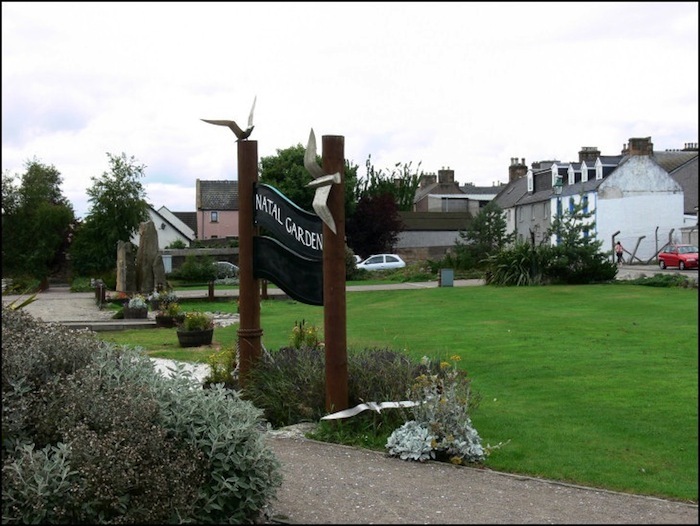 The commemorative garden in Invergordon with various monuments as shown below. 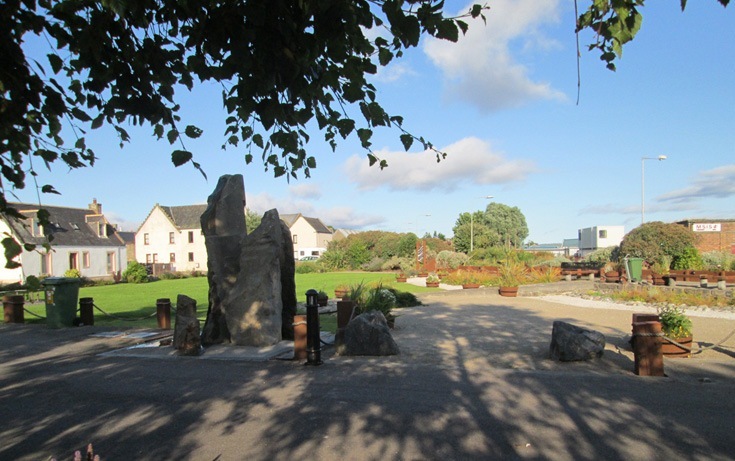 Another view showing the monuments referred to in the above photograph. 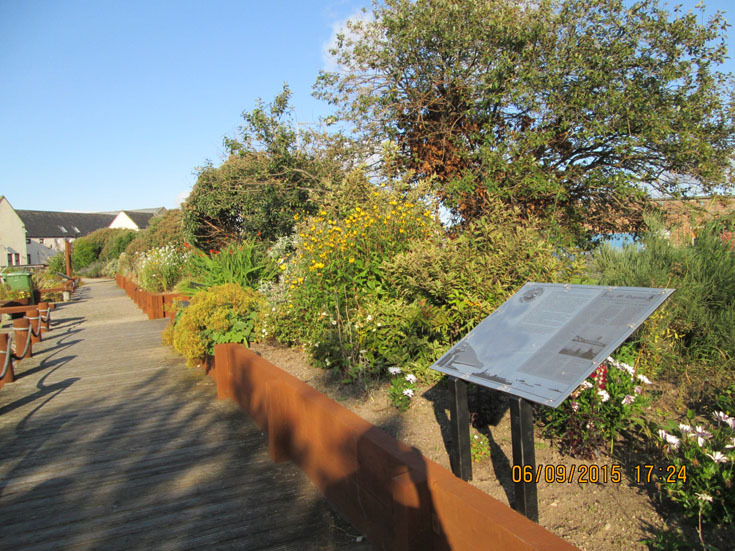 The display panel showing the layout of the garden. 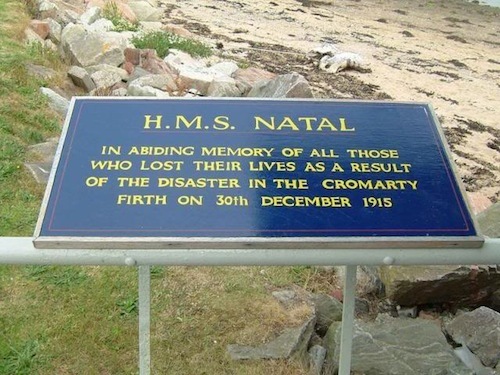 1) - Left-hand picture shows the commemorative plaque at ???. 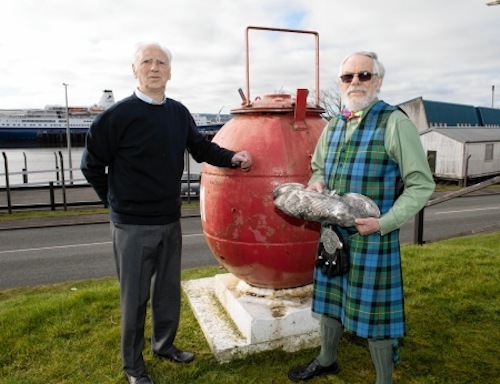 2) - Right; Invergordon Museum volunteers showing part of a silver cup won by the crew in a shooting competition, salvaged from the ship. 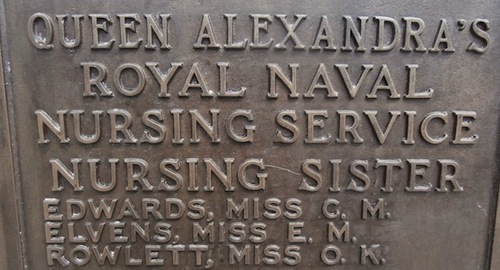 1) - Left-hand photo; part of the Chatham Naval Memorial showing the names of the three Nursing Sisters who perished. They would have been SRNs and therefore commissioned officers, perhaps Lieutenants. 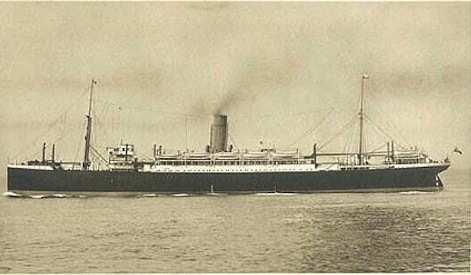 2) - Right; said to be SS Drina, a Royal Staem Packet ship, before it became a hospital ship. As a hospital ship it would have been painted white with a large red cross on each side and on the funnel. As HMHS Drina it was later sunk off Milford Haven on 1st March 1917, even though it was a hospital ship. Perhaps it was not marked as such. 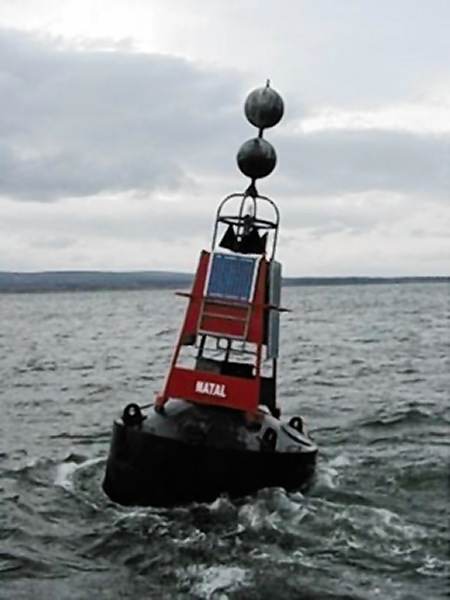 The marker buoy in the Cromarty Firth marking where HMS Natal went down.